Groundskeeper University is a production of Beacon Athletics and is authored by former Baltimore Orioles Head Groundskeeper Paul Zwaska. He is currently the Director of Education & Strategic Initiatives for Beacon Athletics and he holds a bachelor’s degree in soil science and turf management from the University of Wisconsin-Madison. Paul brings more than 30 years experience to Groundskeeper U. And most notably, he spent 16 years managing the fields for Cal Ripken Jr. and his Orioles teammates. Paul is also a major voice behind the field maintenance resources and blog at Beacon’s sister site, Ballfields.com. 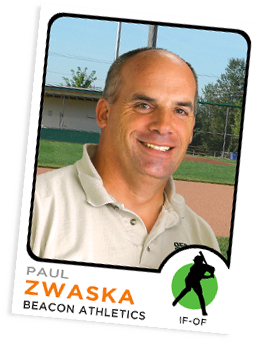 In recent years, Paul has also volunteered at the ballfields of the West Madison Little League. While training the league’s field maintenance staff, Paul has had the opportunity to evaluate their equipment and assess the current needs of community grounds crews. The WMLL fields have evolved into a Beacon Athletics Research Facility and this has led to new and better products — and it has also led to Groundskeeper U.